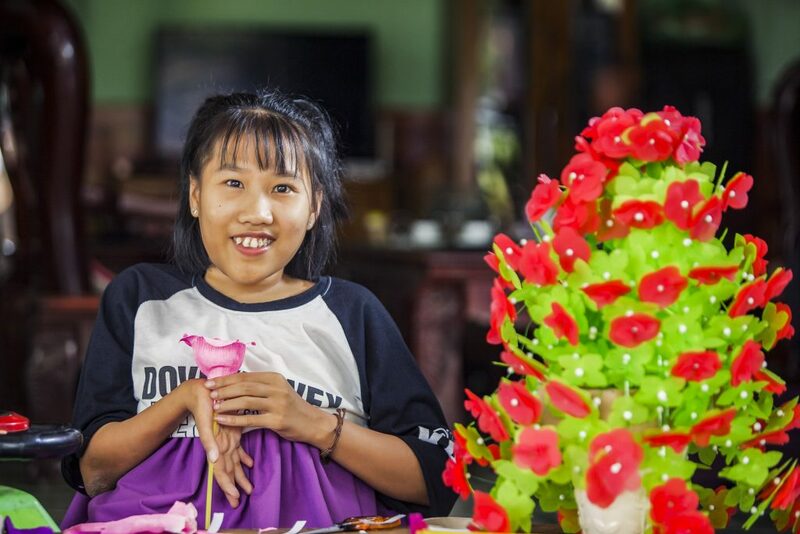 Nguyet has both a passion and talent for making power flowers. Photo: Nguyen Minh Dinc/Caritas Australia. 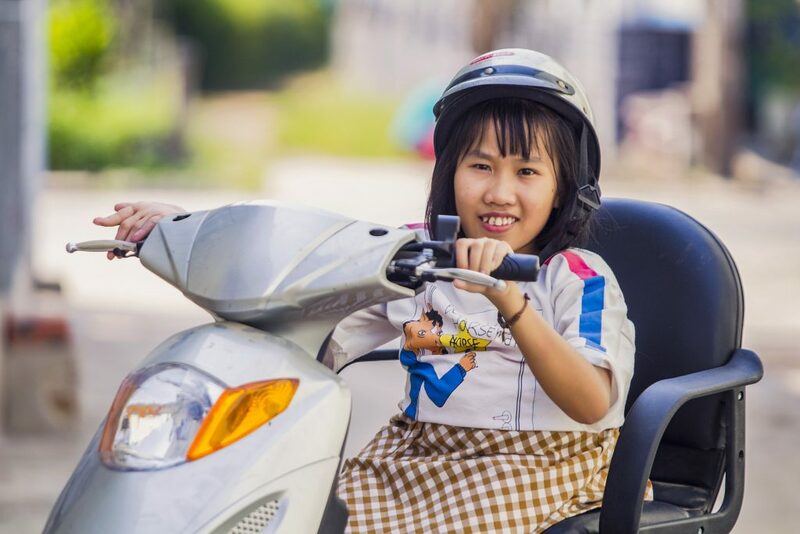 Nguyet is a teenager living with a disability in a small town in Vietnam. Her early years were subdued and solitary. 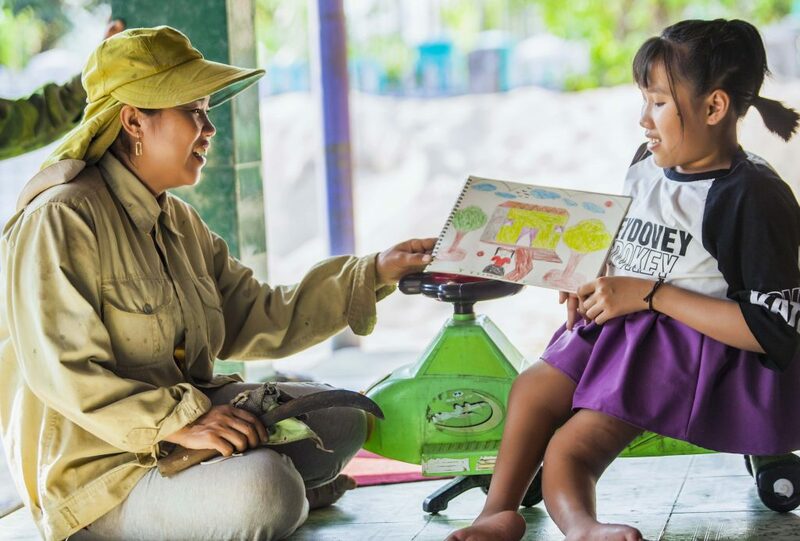 Around seven per cent of people in Vietnam are living with a disability. They often have poorer health, fewer educational and employment opportunities and higher poverty rates than people without disabilities. 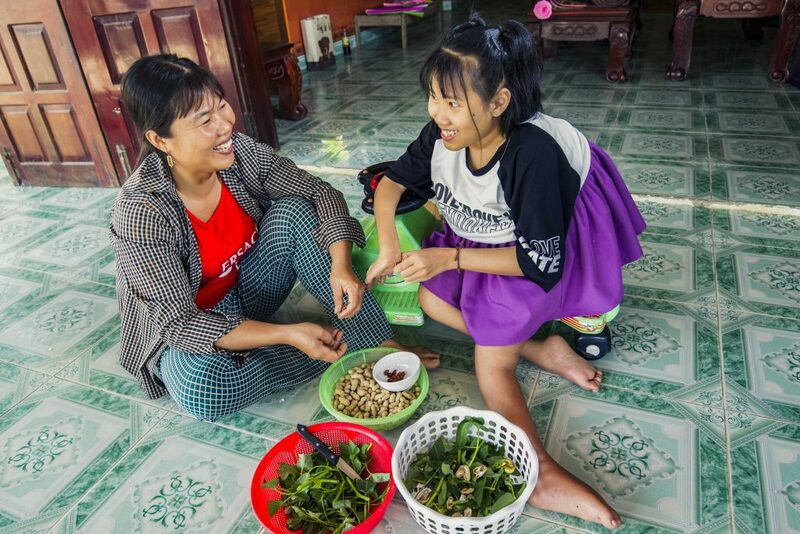 Nguyet’s life has been transformed thanks to a Caritas-supported program which is helping people like 16-year-old Nguyet to discover a world of new opportunities. Two years after she featured in Project Compassion 2017, she has built a successful online business – and is riding a motorbike she bought from her profits. The future appeared bleak – until a Caritas Australia program, implemented by partner Catholic Relief Services (CRS) changed her life forever. When Nguyet first participated in the program, she started designing and sewing doll’s clothes and making delicate paper flowers to sell. Nguyet on her motorbike she purchased with the income from her business. Photo: Nguyen Minh Dinc/Caritas Australia. Nguyet helping her mother with cooking. Photo: Nguyen Minh Dinc/Caritas Australia. Two years on, Nguyet is now 16, and has used her entrepreneurial ambitions and newfound confidence through the program to take her business in another direction. Today Nguyet is making a profit selling T-shirts, accessories and home-cooked snacks made by her sister. She also helps her parents in their business selling building materials locally. “I can go out independently now,” Nguyet says. Home based teaching activity through a Caritas supported program. Photo: Nguyen Minh Dinc/Caritas Australia. Nguyet dreams of owning her own shop one day and is preparing a blueprint of the shopfront. Photo: Nguyen Minh Dinc/Caritas Australia. Nguyet playing outdoors with friends. Photo: Nguyen Minh Dinc/Caritas Australia.